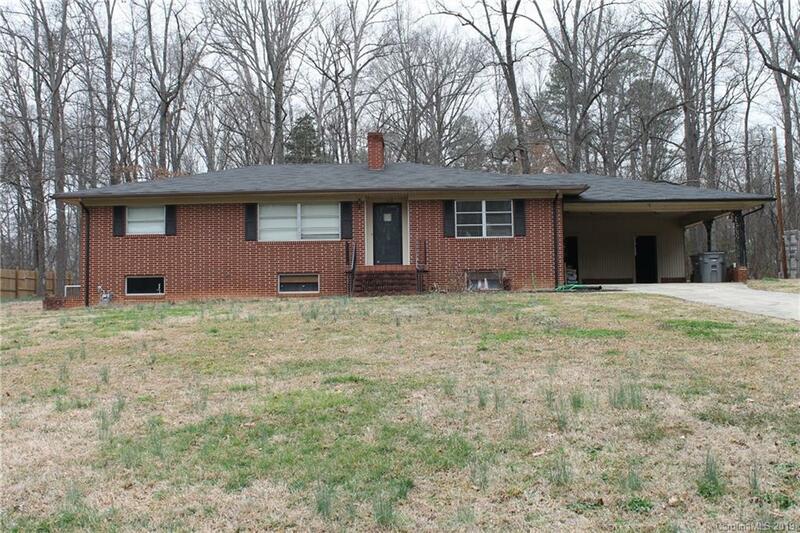 Brick Ranch with basement on .75 acre lot and no HOA's. Great Room w/masonry FP opens to Dining/Kithen. Built-in cupboard in Dining. Kitchen with eat-in bar, wall oven, & cooktop. Large pantry with tons of storage. Two bedrooms with hardwood floors; one has hardwood under the carpet. Finished basement with Rec Rm, masonry FP, and a space for another bedroom if desired. Unfinished basement with lots of storage. Home to be sold AS IS.